Well guys, October 16th has been full of confirmations and announcements. 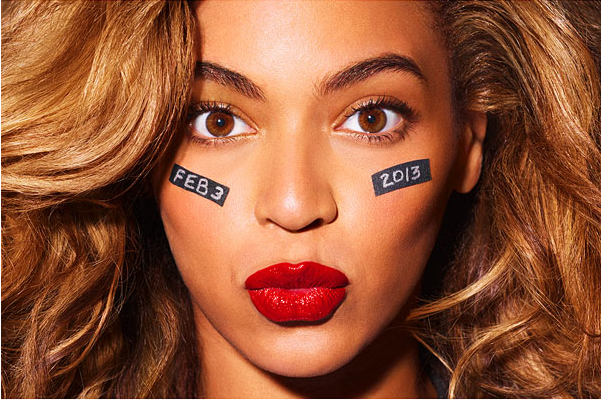 Beyoncé confirmed today that she’ll be performing during Pepsi’s halftime show at Superbowl XLVII. Earlier today I said that Tina Fey and Amy Poehler co-hosting the 2013 Golden Globes was the best news I had heard all day, but that statement was obviously premature. The past few years have brought us some disastrous halftime performances, and I’m really excited to have Beyoncé confirmed. Ever since Justin Timberlake and Janet Jackson brought us the wardrobe malfunction heard around the world we’ve been stuck with lackluster performances. Then we had Black Eyed Peas, who pretty much sucked. Then we got LMFAO with Madonna, Nicki Minaj and MIA, which also didn’t go very well. Madonna had a few good moments, which was an upgrade from years previous, but for the most part it was hard to watch. Beyoncé will hopefully turn it all around for us. I’m not a football fan, though I have started seeing the appeal thanks to Viggle, so I need a good halftime show to get me to tune into entire game. Especially now that we can watch the commercials online after the game. Also, can we just talk about how brilliant this confirmation was? Beyoncé, or more likely her people, posted the above photo to her Tumblr as well as made it her Twitter picture, and that was it. There were no words a part of the text on her Tumblr, and no tweet was made. It it weren’t for an “anonymous tip” earlier, it’s possible that most people wouldn’t even have noticed at first. Plus, she looks gorgeous. She sang the national anthem at the 2004 Superbowl, and sounded phenomenal. I doubt we’ll have to worry about her screwing anything up during the halftime show, and that excites me. Now that Beyoncé has confirmed, all we have to wonder is whether or not she’ll also have collaborations. My guess is that she will, and I’m looking forward to seeing what she has up her sleeve. Maybe a performance with Jay-Z? Doubtful. I’m going to have my fingers crossed for a Destiny’s Child reunion performance. I’ll even cross my toes in hopes that the other two girls that no one talks about show up. The XLVII Superbowl airs from New Orleans on February 3, 2013 on CBS. ← Amy Poehler and Tina Fey co-hosting the 2013 Golden Globes!